There is no such thing as absolute freedom worldwide, Chief Executive Carrie Lam Cheng Yuet-ngor told Japanese reporters on Friday before her first trip to the country. In response to the controversy stirred by the government's refusal to renew a British journalist's work visa, Lam said free speech and individual liberty are protected but also restricted under the Basic Law. "I am saying that, worldwide, internationally, there is no absolute freedom per se. There are certain circumstances where our freedom will be put under certain restrictions," she said. She added that Hong Kong authorities were acting in accordance with the law when Victor Mallet, the Financial Times' Asia news editor, was denied a work visa by the Immigration Department for no reason early this month. 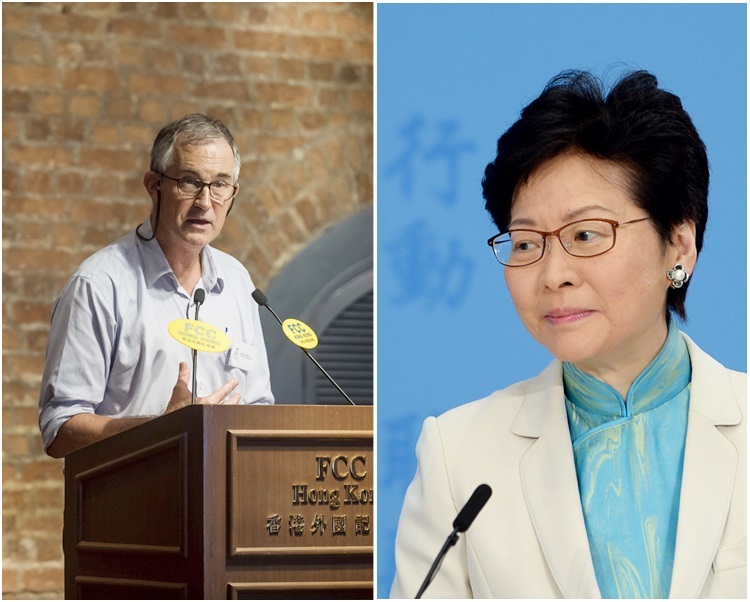 This came after Mallet chaired a talk by independence advocate Andy Chan Ho-tin as vice president of the Foreign Correspondents' Club in August. Lam and her government refused to explain the reason behind Mallet's visa rejection, even though she was pressed by press associations, lawmakers and the consulate generals of Britain and the United States. Lam will visit Japan for five days from October 29 to November 2, marking her first visit there since she became chief executive. She revealed her trip will cover a wide selection of topics, ranging from investment, education, and science and technology. She will also touch on women's affairs as Hong Kong's first female chief executive, she said. Lam also said the trade war between the United States and China has had a limited effect on the SAR. But she fears tensions between the two countries will spread to other areas, such as finance and investment, given that Hong Kong is an externally oriented economy. The previous time Lam met a Japanese official was in Hong Kong at Government House on March 25. During the meeting she held with Taro Kono, Japan's Minister for Foreign Affairs, Lam said she had been striving to visit Japan since she became chief executive.